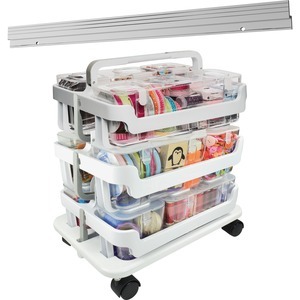 Storage caddy kit features stackable caddy organizers and canisters, Stack-n-Go wheel base and a 22"" mounting bar to keep your supplies organized and completely mobile. 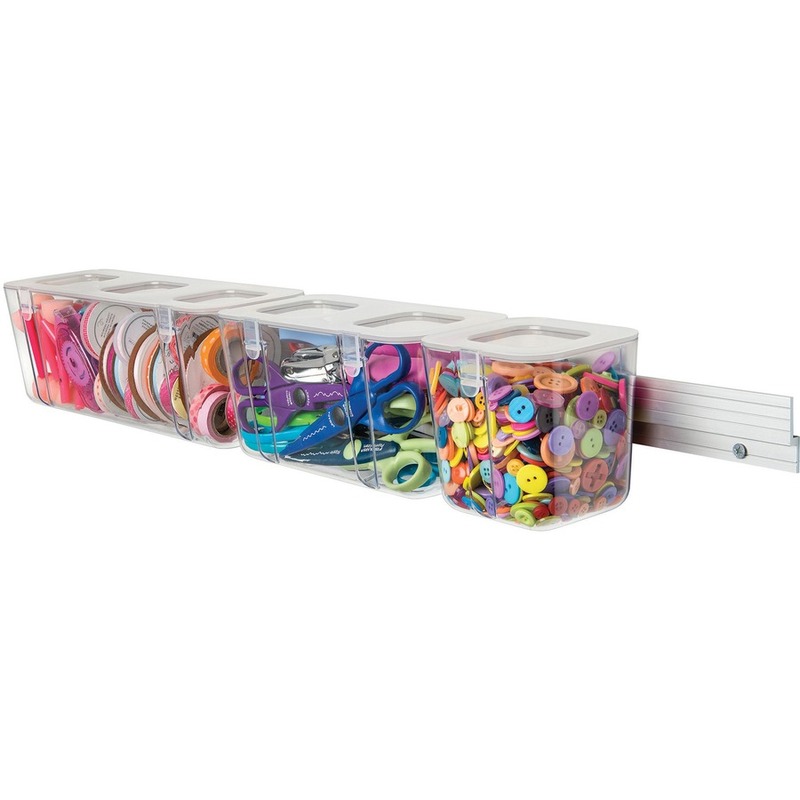 Clear storage canisters keep your supplies fully visible and can be removed to hang on the mounting bar. Hinged, snap-tight lids keep items secure and are easy to remove when you're ready to work. Lift-and-lock levers on the frame allow you to securely stack multiple caddies together for easy, consolidated travel. 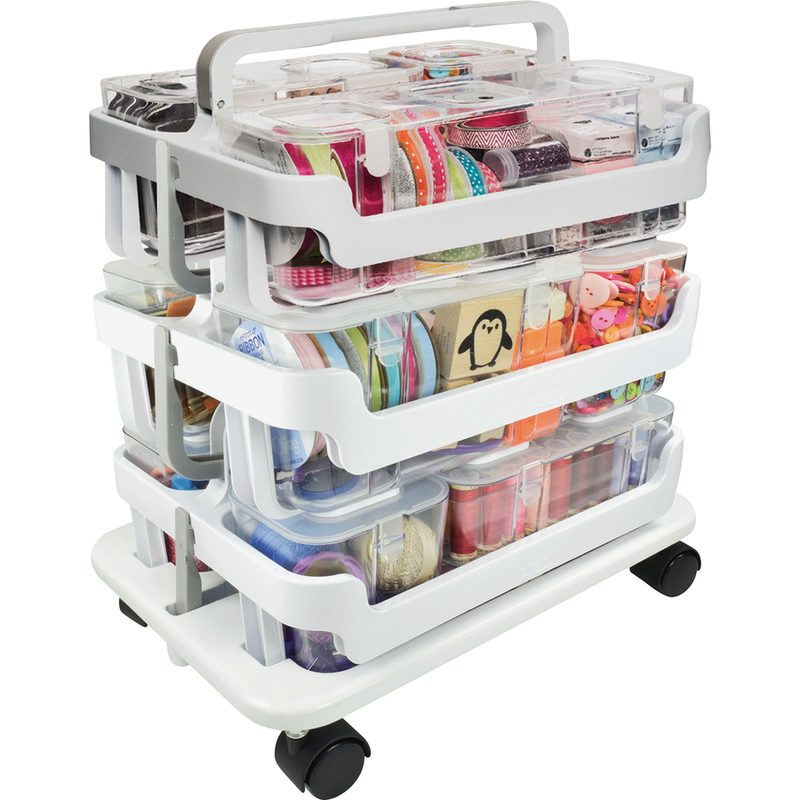 Stack-n-Go wheel base uses swivel casters to let you move an entire stack of supplies safely and easily.